Apologies, but due to unforeseen circumstances this has been postponed. 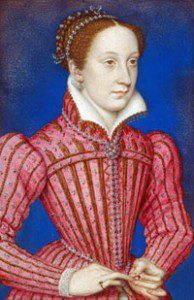 David Templeman – Friends Of Manor Lodge – provides his ultimate illustrated talk on ‘Scotia’s Beauteous Queen’ – ‘Mary Queen of Scots and the Road to Fotheringhay’. Concentrating on her last years in Sheffield Castle and Sheffield Manor – A Tale of Intrigue and Tragedy – largely played out in Sheffield. A must for Members of FOSC. 7-30 at the Central United Reformed Church – Corner of Norfolk Street/Chapel Walk – finish 9pm. Refreshments available. Please note that our new FOSC T-Shirts are now available to purchase at the bargain price of £10. Do you need to book in advance for these talks please?